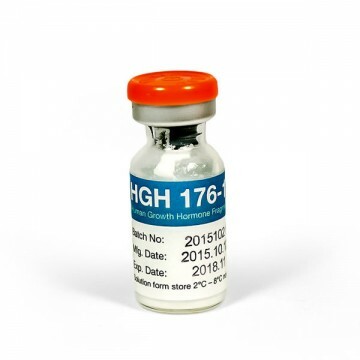 Peptide HGH 176-191 is actively used in cutting period, it has a powerful fatburning effect , due to which it is often used not only by men but also by women. 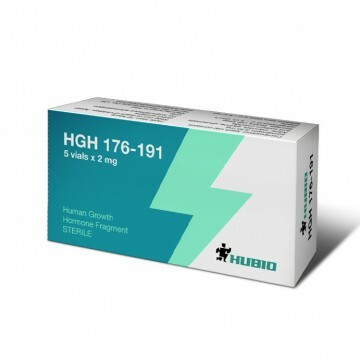 According to research, HGH 176-191 exceeds the effect of fat loss 13 times of growth hormone. Often, the peptide is used in combination with peptides GHRP groups in such a combination it gives an even more powerful effect. has a rejuvenating effect, improving the condition of the skin increasing its elasticity. 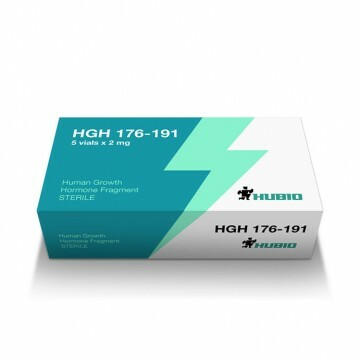 HGH 176-191 is not an anabolic substance, so it is suitable for cutting and obtaining muscle definition, but is ineffective in gaining of muscle mass. 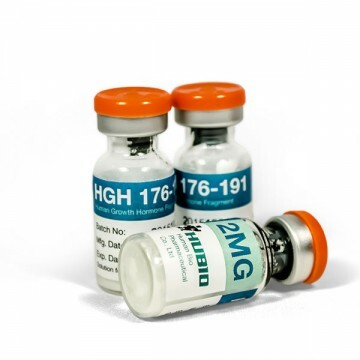 The dosage of HGH 176-191 is up to 1000 mg per day, divided into a number, usually two, sometimes three. The first injection should be performed immediately after waking up, after which meal should be no earlier than an hour and a half. A second injection is performed in the training days half an hour before training. In the days of free training, rge injection is made before going to bed. HGH 176-191 course should not exceed three months. The long duration is not recommended due to the lack of balanced nutrition, (the course is required to minimize the amount of carbohydrates). Side effects such as the application of HGH 176-191 have been identified. The only thing noted by athletes - itching and redness at the injection site, but this side effect passes quickly. The peptide is produced in powder form in vials, diluted with water before use for injection. Diluted contents can be stored in refrigerator.